Maharashtra University of Health Sciences, Nashik has given the tentative dates of the practical examinations- summer 2014 for the various Homoeopathic medical colleges under the university. Please find the link below. 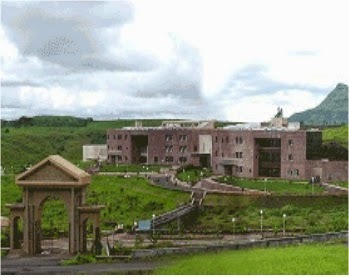 Having started in 1998 as a single University entrusted with the responsibility of health sciences education in Maharashtra state, MUHS, today is an important affiliating institution of higher education, currently having 320 colleges under its jurisdiction. Together with these colleges it conducts graduate and postgraduate courses. Our vision is to develop the University into a world class institution, renowned for its teaching capability, research tenacity and professional acumen. Our mission is to disseminate high quality education in all health sciences streams among the youth and inculcate values and ethics to be practiced in the pursuit of their profess ions. We are determined to contribute to society through our commitment to patronage of quality in health sciences education and research, ensuring excellence in Higher Education. Through conscious and careful planning, MUHS aspires to reach the zenith of success by pursuing the path of value based quality education. I, therefore, call upon the members of the MUHS family, i.e. the students, their parents, faculty and staff - members in particular, and the public at large in general, to come forward and contribute their best for overall development of the University and work together towards creating world class professionals for a healthy society .